Live Events have so far appeared in every update this year so this post is going to explain how to complete live events with tips so you can try and complete every live event the first time around! Live events are time limited events that last for a certain amount of days (if you don’t play the game during that time you will miss out on these events) The aim of them is to collect arts and crafts items from 4 crafting stations which are the resources you need to unlock and buy items in the event, if you manage to unlock and buy all of the items in the time limit then you unlock a prize. I think its important to say that live events are hard and if you cannot be on the game every few hours to collect from the stations then it can be very difficult to complete, none of them have been repeated yet but hopefully they will be so don’t worry too much if you don’t manage to complete the event the first time around. How do live events work? Make some arts and crafts items (click on the candle station to make)- 23 seconds TIP: buy all 4 stations so you can have 4 sims making the candles for 23 seconds, this means you will earn 200 candles instead of 50 straight away! Here you will see you have collected enough items to unlock the first pack! 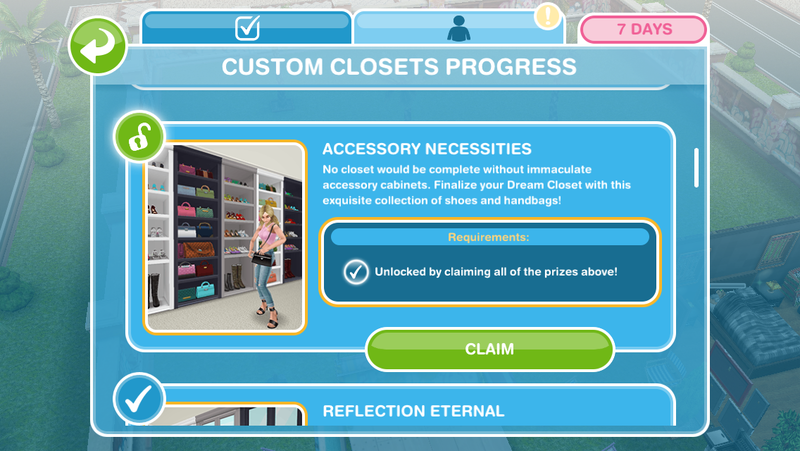 You need to unlock each pack and then before the items are available in your home store you need to purchase them with the arts and crafts items you make- this goal is coming up! From these stats it looks like the 8 hour 30 minute option is the best but actually if you did the 2 hour 30 minute option 3 times (7 hours 30 minutes) you will earn 750 candles rather than 510! So if you can do the shortest option over and over again throughout the day then you will earn a lot more resources but obviously if you are going to be out all day then it would be better to do a longer option. The bar at the top of your personal progress tab shows you the items you have already unlocked and those you are yet to unlock, as well as how many resources you need to collect to unlock the next item. Constructor Coins- these are a resource needed to purchase those items mentioned above, these are probably the hardest item to earn in these events! Social Points- as this event uses social points to speed up actions as well as purchase any resources you still need if you haven’t reached the required amount, you get a few as a reward in these events- they aren’t that generous with them so don’t rely on them to help you complete the event! The first picture shows the item is locked, this is how you will see an item when you haven’t collected enough arts and crafts items to reach that item on the bar at the top of your personal progress tab, keep collecting and it will unlock, the unlock symbol will either be orange or green. TIP: if you are unsure what resources you need under requirements there will be a box for each resource you need, the first number under the resource picture is how many resources you currently have and the second number is how many resources you need, if you have enough resources the box will be orange, if you don’t have enough resources the box is blue. So you can tell straight away in the picture below that I don’t have enough constructor coins to buy the fine dining items pack. How do you earn constructor coins? Completing Daily Goals- you will earn constructor coins when you complete daily goals and if you manage to complete them all in a day you will earn bonus constructor coins, make sure you collect them every day during the event! 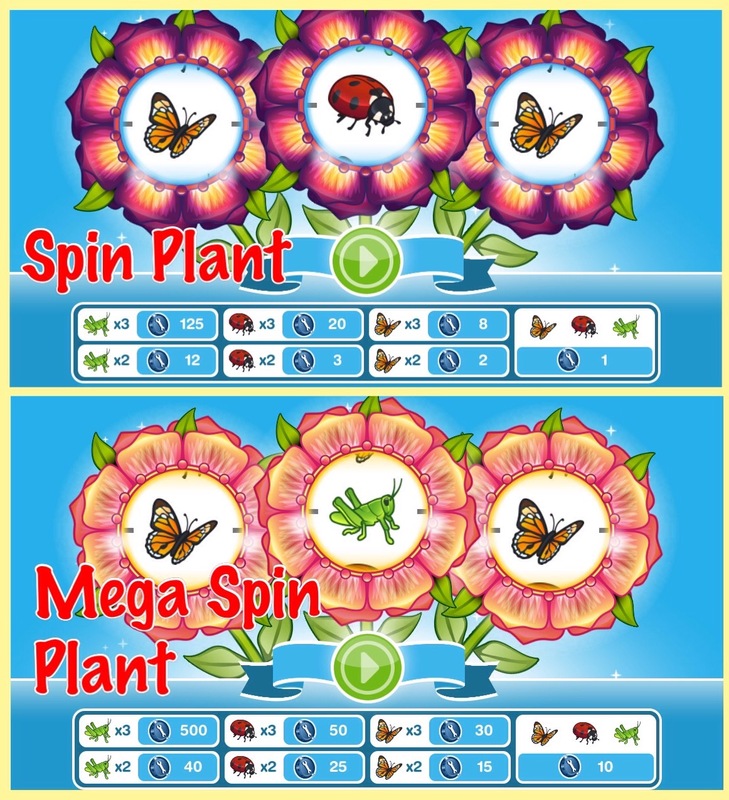 Coin Flower Patches- there are two types of coin flower patches, the spin plant which costs 450 candles each time you spin and the mega spin plant which costs 25SPs each time you spin but you will earn more constructor coins (personally I never use the mega spin plant, I just earn as many candles as possible to use on the normal spin plant) When you use the plant it will spin and you will earn a certain amount of coins, usually with the spin plant you only get 1-2 coins most times which can be the difference between completing the event in time or not! If the luck is in your favour you can win up to 125 constructor coins on the spin plant and 500 on the mega spin plant with the minimum on the mega spin plant being 10 coins. If you didn’t manage to complete in the time you have a few days after the event is over to purchase any packs you have left but you cannot collect anymore arts and crafts items or constructor coins during this time. If you don’t have the requirements you need you can use social points or you could just wait for the event to return in the future! When completing the goals place all 4 candle stations straight away and then you can put a sim on each station to collect candles for 23 seconds, this way you will start with 200 candles instead of just 50! Remember to complete and collect your daily rewards every day- you will earn bonus constructor coins if you do! If you know you won’t be able to complete the event then just buy the packs that you really want- you don’t have to buy them in order! The time limit is the same for everyone, if you start late then you will have less days to complete the event- I create a post for each live event so subscribe if you don’t want to miss an event or start late! Don’t store your stations at the end of an event, if you store them you will have to restock before you can use them again, create a room for them instead! (remember you can only have 10 stations in one house as only 10 sims can be in a house at one time) That way you will still have stock left over from the previous event to use on the next! Is there anything to make the events easier? Laura Craft doesn’t guarantee you will complete the event but you can purchase her for real money, you select the item you want her to make from the options: 200 candles, 300 pottery, 450 jewelry or 500 glassware (you will unlock all the options once you have unlocked all the stations) and you will be able to collect them after 2 hours. Do I think she is worth it? They have improved Laura Craft a lot since the first event (although it would be great if she made constructor coins) she used to be able to collect every 8 hours, they have now changed this to 2 hours so she is more useful now so if you are struggling then you may want to splash out and give her a try but remember you will only get her for the current event, you will have to buy her again to use her for a live event in the future. Hi! I’m not sure if this is true for everyone but I realised after cancelling an action when collecting arts and crafts that I didn’t lose any stocks… I did it multiple times after this but still didn’t lose stocks. I’m not sure wether this is a bug/mistake or wether EA purposely changed it, but I hope it will stay like this! I just tried this again to see if they had changed it but it hasn’t changed for me, I still lost the stock so I’m not sure what is going on! Hi! I’m not sure if it’s the same for everyone, but I realized that if I cancel an action when collecting arts and crafts, I only lose a stock if the Sim actually starts collecting. However, if I manage to cancel the action before the Sim reaches his station, then I don’t lose any stocks! I’m wondering if the shortest time option is really the best because of the restocking. Does it only count as one use for restocking purposes on any of the time options for candle making? If yes, then couldn’t there be added benefit by doing a longer time option because you have to waste less time restocking? I don’t have much SP to use so I don’t want to waste them. I also have an extra tip for completing live events: if you are out of stocks and don’t want to wait 2 and a half hours restocking, don’t select the “10 SPs” option. Instead select the “2.30” option, then you will only have to spend 9 SPs to speed up instead of 10. Thanks for the very useful tips. I may add something: I have found that when using SPs to complete events is worth using them to speed up the production of crafts rather than to purchase items directly, and when doing so it might be worth using the 8hrs option. Hi.. I just want to ask. When there have 2 choice such as traditional and colourful hair. Should I purchase both or just one? Also, i read about same live events coming a second or a third time, for me never happened 😦 I find it not fair, sometimes i have exams or a lot to do at work and loose those moments when i should restart producing crafts, or i forget to take the tablet (with the game) and if there are second chances, why don’t i get them? So far none of the live events that involve crafting items have returned which is why you haven’t had a second chance at those but the dream daycare live event is meant to be returning this update so you will get your chance if you have updated your game. Hi! absolutely love that you post all these tips and I’m so grateful that you do! Do you happen to know if all surplus resources are the same when they convert to simoleons? or are constructor coins worth more once you’ve claimed all the prizes? Thanks! It’s hard to tell as it converts them quickly but it doesn’t appear to earn you more money for different items, you just get more simoleons the more items you have left to convert. This one I am confused on… If you can collect the bonuses every 15 minutes or so then you will earn even more resources, if you use social points to speed up the task (most people leave until the last minute possible to speed up so you don’t have to use as many social points) then you will earn all the bonuses… Does that mean if I just want until it says 1 sp to speed it up to finish, all the bonuses i would have gotten every 15 mins, I will now get all at once? Say you would have gotten a total of 150 bonus if you could come back every 15 mins, if you us the sp you will get all 150? Yes that is exactly what that means. Precisely. I set a timer for a few minutes ahead to make sure I’m paying attention, and not distracted by the new boy, neighbor rewards and the like, one click on the first one who started the task….as soon as it goes under two minutes, the sp drops to 1, then I click on it, and collect the full bonus. This makes it much quicker to collect resources, it took me a week to do so. I do use Laura, mostly for candles, and have found over the course of several events I get a return of 4.5 construction coins average per spin, or 1 coin for each 100 candles used in spins. I got lucky this time, and got three grasshoppers once, but this was only the second time I’ve gotten it. However, between all the extra ones they gave us, and the daily goals, I actually had coins left over when I claimed my last prize this time. Hi I recently had to start all over from the very begining I lost all the things I collected from previous live events and quest do they all repeat or once I collected all in the beginning they are gone for good and secondly how do you play the community events to unlock the boat voyage I had never seen them appear…. They are very good at bringing back events so those who didn’t manage to complete them or haven’t been playing that long can try to complete them. One of the community events for the sea voyage boat was a christmas one so I don’t know if they are planning to bring this back again as they usually do something different each year for christmas but they will probably bring back the tropical romance island one on the boat, usually that one appears around February but all we can do is wait and see! Thank you so much for your blog! It is so incredibly helpful! 1. Is it really possible to complete these events, unlock and purchase all prizes and get the grand prize before time runs out? 2. Do these events reoccur within a few months? 3. Do you think it’s a better strategy to save all arts and crafts and coins until the clock is almost run out and just purchase the items you really want? This is my first time doing a live event. I have 7 (almost 6) days left in the dream daycare event. I have purchased the moon night light, both crib sets, and the daycare toy shelves (which, I’m super disappointed that they’re basically decorative and don’t have any actions for toddlers!) I just can’t see how I’m going to finish! Any help is appreciated! It is possible to complete them but they are not easy, if you cannot do the shortest option as much as possible then you will find it hard to complete in time. It is hard to say when they reappear as it is random, it is just when they decide to bring one back so we have to wait and see! I would suggest you have one in mind you want to buy and then buy it when you have the items you need, I wouldn’t recommend leaving everything until the time is up to buy it incase you made a mistake in your amounts and don’t have enough resources but definitely buy the ones you really want first and then you won’t be too disappointed if you don’t complete in the time limit. I did give in and buy the things I wanted. I’m ready for when it comes back around though! I agree, these events are very time consuming! Question ~ it says there is 13 hours left AND that the goals will reset I’m that amount of time as well? Is there one more Daily Goal to complete at the end? I just want to make sure I leave an item to purchase and some candles for the spin plant if needed. The goal usually resets when the event ends so you cannot complete anymore daily goals once the event is over, you also cannot use the spin plant once the event is over. Hi & thanks for your precious help! I was wondering: all unused items (jewels/pottery/etc) get turned into simoleons? Do they all have the same value? You’re welcome! I believe they do have the same value as you don’t get a lot of simoleons for coins. Hello I was wondering, I have trouble completing the live events in the sims free play especially saving up my LPs and social points from other quests. My question is do the live events come up again if I didn’t complete it the first time? Yes, the french romance live event has been available twice now, if they bring it back again you will start from where you got to last time. I cant complete the live event..but I need hair wash & cutting station. No it won’t but live events get repeated so if you can’t finish it this time, don’t worry as it will probably return one day so you can complete it. You mentioned that when live event returned, you will start from where you got to last time. Can you please elaborate on this? Do you mean the prizes that I have already unlocked last time, I won’t have to unlock again the 2nd time round? I just have to unlock prizes that I didn’t unlock the 1st time round and I still able to complete the event? Yes, any items you have purchased you won’t have to purchase again and any items you have unlocked you won’t have to unlock again you will just be able to buy them when you earn enough resources but you will start again with 0 resources. Once you have purchased all the remaining packs you will be able to claim the final prize, it doesn’t matter if you complete it on the first go or it takes you 5 tries to complete it, you will always be able to get all the prizes if the event returns. I did not plan the live event that well, and I will take note of the bullet points in your post. The event seems SO much longer than community event which I prefer since you get support from other players but the Live Event make you do everything and no one has time to play every two hours. Do you have any clue what event is next? I really missed out on the teen and daycare event. I seen the discovery quest with the toddler but I’m not sure if it’s worth doing. I don’t have enough funds to do the other quest which requires the train to be built. I only have 1,054,000 which isn’t much to build with. They aren’t longer than community events, they are the same length and are pretty much the same thing you just don’t have the community prizes, you still have personal prizes in community events you have to earn on your own, it probably seems longer though as when they introduced them they made them hard to complete! I have no idea what the next one will be yet but I will let everyone know when I find out. Yes they do but you don’t get a lot of money for them! How do I increase the bonus ? You can get higher bonuses by completing the longer actions but completing the shorter actions more is actually more beneficial if you cannot collect all the bonuses. I may have missed it somewhere reading this. I have 1 day left doing Wedding Belles. I have unlocked everything. I’ve purchased everything. I don’t have enough time to purchase the wedding dresses. I want the building. When the time runs out, will Wedding Belles event return and will I be able to pick up where I left off? Hi! Thanks for your help. So I’m doing the Wedding Belles Event now and I’m almost out of time. I read that you have two days to purchase what you were not able to in the time limit with SP coins, will I still be able to get the wedding venue at that point or only if I buy everything within the set time frame? Thank you! I was able to unlock the venue within the time limit. After the event had ended you have 2 days to purchase items. I’m short the last bride and groom collection. If I purchase it with SP, will the ceremony and reception unlock? Or do I have to wait until the next wedding event to unlock the reception? Thank you so much for your time answering this! Hey! I’m wondering how much simoleons you get for leftover event items? Like is it worth Gathering extra or should i just send My Sims to work haha? 🙂 I’ve got enough of everything except glass for The last Item I need to unlock! Thanks for a great blog. It is hard to tell as it converts them so quick so its difficult to work out how much you get for each, sorry! Personally I would just send my sims to work as they will probably earn more money that way but it is up to you. Hi 🙂 I was wondering how many days has your record been for completing one of these events. The major reason I ask is if I happen to come in late…wondering how late is too late. Thank you in advance. I rarely complete them to be honest and if I do it usually takes the full amount of time, these events aren’t easy! Don’t worry too much as they usually bring these events back. Hey – your blog is awesome- thanks! Quick question – you know how at the end of the live event you get 48 hours to buy any unbought prizes? Well in those 48 hours can you still use the spin plant and the mega spin plant if you’ve got left over candles? Also, does 1 SP = 1 constructor coin when you’re trying to buy stuff? It looks impossible to get enough coins in this live event! No you cannot use the spin plants during that time or collect anymore resources. Hey! If I don’t complete the live event this time, will I be able to complete it the next time around? I started late, so….. Yes, you start from where you got to this time so you will have a better chance to complete it next time. Hi! Discovered this blog recently, it’s been so helpful and has really changed the way I play! I just wanted to ask, if I buy Laura Craft to primarily make candles does she use one of my candle crafting stations? Thank you so much for creating this blog! It is honestly so helpful ! Hi, you said to leave the arts and crafts stations out after a live event ends, so you’ll still have any remaining stock available for the next live event, but I was wondering if that applies to all four stations, or just the candle station. I’m asking because I didn’t know if the other three stations lose their stock regardless since they need to be unlocked for each live event. Okay, I just wanted to make sure. Thanks for answering my question. Say I have one item left. I have all the constructor coins I need, I have all the candles I need. Is it better to put extra candles through the spin plant? Do the coins convert to more simoleons than candles do? Or does it not matter? Will the event eventually return? Thanks for the tips. My tip is that you don’t have to build a room for the crafting stations, I put mine right out in the yard. That is true but they aren’t very pretty to look at so I like to hide mine away in the basement! After your time is up to earn for the event, do you still have time to choose what you want to buy? This happens to me at least once in every live event where unlocking a prize doesn’t count towards the Daily Goal unlocking/buying a reward. Anyone else run into this, do you have any solutions? I hate actually buying any of the rewards until the end in case I don’t complete everything and I have to prioritize what I want to get. And it always seems to happen when there is a large gap between prizes. Hello, can anyone help. The live event for the french chateau has just started again, I have played this event before and it has started off where I last finished so half the prizes are unlocked and I have unlocked the pottery station etc, the problem is it won’t let me use the other stations. It Just tells me they will unlock when it get to them but I am already passed them, hope that makes sense. Has this ever happened to anyone else? I have waited to so long this one to happen again and now it think I will miss out . It may be they just aren’t showing until a new event becomes available, I’m sure another live event will be back soon and you should be able to place them from the event tab in buy mode even if they still won’t show in your inventory.